Perfectly packed and rolled with Raw Classic King-Sized Cone rolling papers! 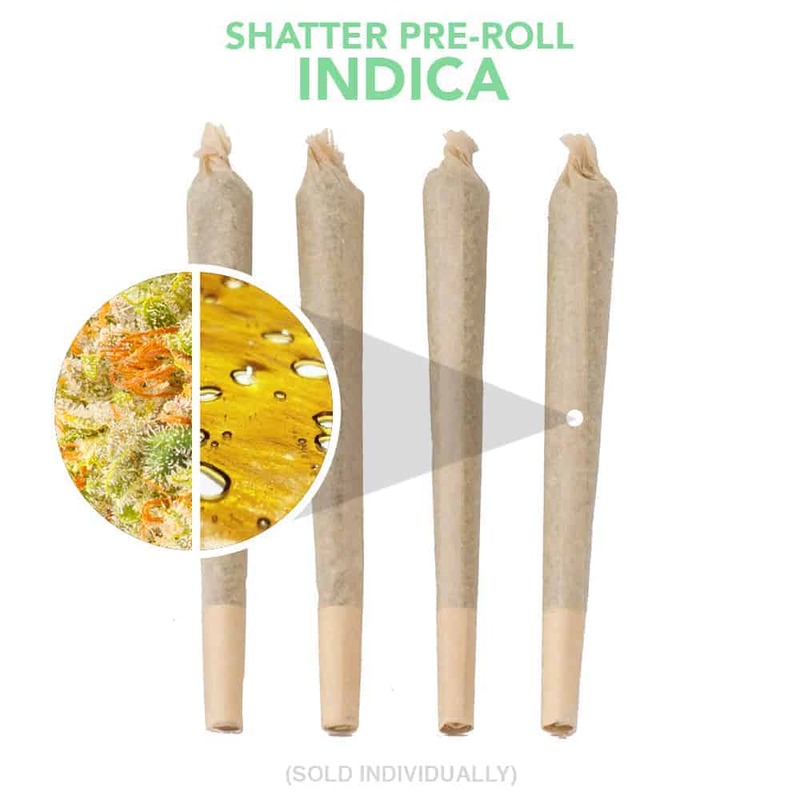 Coming individually sealed and rolled from a blend of our finest indica strains, they make great gifts and are perfect for on people on the go! Indica is known to induce sedative psychoactivity, typically leading to the “body high” many users report. Most people feel a sense of full body relaxation, calming of their central and peripheral nervous system, creating a “chilled out” sensation for the user. Some people remember the effects of indica by its “couch-lock” effect. It enhances introspection and a sense of comfort and is also known to be a great stress reliever and sleeping aid.